Juries throughout the country continue to find a credible link between the use of talc-based powders and ovarian cancer in women. 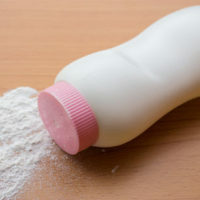 In August, for instance, a Los Angeles jury held talc manufacturing giant Johnson & Johnson liable for a plaintiff’s ovarian cancer and ordered the company to pay $417 million in damages, which included nearly $350 million in punitive damages. As expected, Johnson & Johnson appealed the verdict, and their arguments illustrate how aggressive the company will be in continuing to evade responsibility for the negative health effects of its products. Did California Jurors Improperly Determine Damage Award? On September 15, Johnson & Johnson asked California Superior Court Judge Maren E. Nelson to set aside the jury’s verdict and order a new trial. As is typical of such motions, Johnson & Johnson argued the verdict is “against the weight of the evidence.” But the company also accused the jury itself of “misconduct” with respect to its determination of compensatory damages to the plaintiff. Unlike punitive damages–which punish egregious misconduct against the public–compensatory damages are meant to compensate the actual victim for her economic and noneconomic losses. In California, civil juries do not need to reach a unanimous verdict. Only three-fourths of the jurors need concur. (In contrast, under Tennessee law civil juries must be unanimous.) That is what happened in this case: 9 of the 12 jurors ruled for the plaintiff. But according to Johnson & Johnson, the 9 jurors who voted for the plaintiff on liability then “excluded defense-favoring jurors from deliberating on the amount of damages,” which if true would be contrary to California law. Johnson & Johnson said this alleged exclusion demonstrated “that passion and prejudice tainted the verdict.” In support of its claims, the company included sworn affidavits from one of the jurors who was present during deliberations and voted for the defense. The juror said that “one of the jurors who favored the plaintiff angrily said that those of us who favored the defense should not participate in the discussion of damages.” A majority then voted in favor of this proposal, according to the juror. The pro-plaintiff jurors then decided “they should increase the amount of damages that they had been discussing” to account for taxes and legal fees the plaintiff would owe. Johnson & Johnson argued this also violated California law and the trial judge’s instructions. The plaintiff’s attorneys were expected to file a response to Johnson & Johnson on September 25. Whether the judge grants or denies the motion for a new trial, further appeals within the California courts are likely to take several more years unless the parties reach a negotiated settlement. However, Johnson & Johnson continues to steadfastly deny there is any link between its talc products and cancer, suggesting the company will litigate to the end. Fortunately, juries in multiple states have seen thru Johnson & Johnson’s denials. Indeed, there is now decades of research that not only show a talc-cancer link, but also that Johnson & Johnson and other talc manufacturers knew about the risks to women and did nothing to warn them. Such gross negligence is just as inexcusable in Tennessee as it is in California. If you suspect your ovarian cancer may be related to the long-term use of talcum powder, it is important to act quickly and assert your legal rights. A qualified Tennessee talcum powder lawsuit attorney can review your case and help you determine the best course of action. Contact the offices of Fox & Farley, Attorneys at Law, in Knoxville, Clinton, or Sevierville today.